A new year dawns, and after glancing back on 2016, most birders will have thought about what their targets are for the coming year…increase their life list, year listing the country, a county or a site, see a specific species, the list goes on. Birders are a diverse bunch. All motivated in subtly different ways but ultimately the majority of us care about very similar things – what we have seen or found, and what we haven’t; be that in the world, Western Palearctic, country, county, patch etc. What our targets are for the year will largely be dictated by what holes need to be filled. But, when you live away from promising birding locations and your opportunities to get into the field are mostly local the chances of plugging these gaps are relatively low. This can make motivation difficult to come by. I’ve spent my entire birding life living in Shropshire. A landlocked rare bird wasteland for the most part…Although there are some notable exceptions; the only county to have Magnificent Frigatebird on its list, and White-tailed Lapwing did occur in the past (although perhaps the less said about that the better) to name just a couple of (/the only!) examples. To escape this rare bird-void I have spent my 20 or so years of birding travelling to the coast to try and find rarities and even occasionally twitched to see a species that I have no hope of encountering locally to obtain that ‘rarity-fix’. But, obviously, the vast majority of the year is spent in my home county, which for a dedicated birder can be frustrating. For those that live at the coast or a migration hot-spot it may be difficult to understand how we keep going. 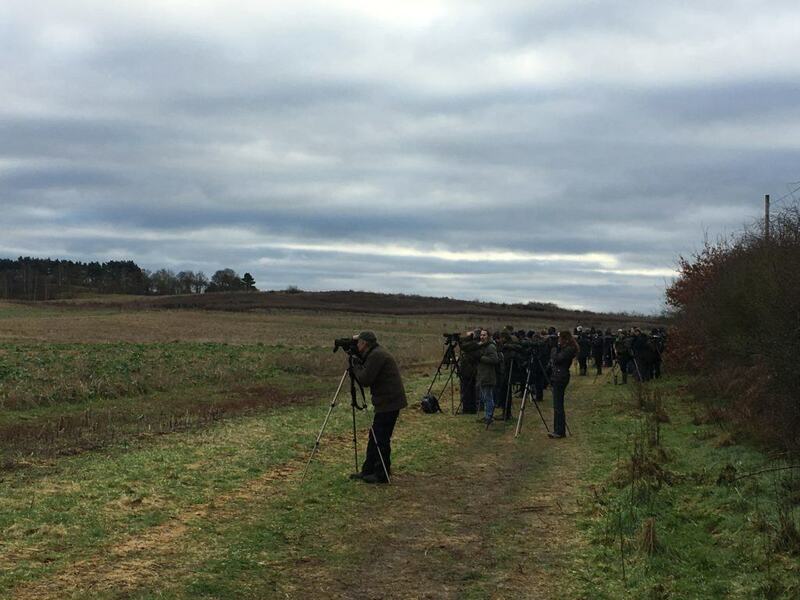 Or, even why inland birders bother. Ultimately though, the thrill of finding a locally rare bird can be as great as finding a nationally rare one – it’s all relative – and this is what has always kept me going. Over the years I’ve tried many ways to keep the interest levels up. County year listing worked for a little while in the early days, but after a few years and always hitting the same number there or thereabouts, boredom set in. My local patch (Chelmarsh Reservoir) is the largest water-body in the county and is situated near the River Severn so does attract its fair share of decent local birds – year listing this site also worked for a bit but alas no longer. My main local motivation has always been to find my own locally rare birds. But, Shropshire is a big county, and the best sites are spread far and wide so regular checks means lots of time in the car which can be fairly tedious. So, this year I needed to find a way to get myself out of the front door with my binoculars around my neck. I have decided to abandon my lists. I’m focusing my effort, on effort… I’ve resolved to make a hundred patch visits. What do I hope to achieve, well, a Slavonian Grebe or Shag would welcome new county and patch birds, Bar-tailed Godwit and Avocet are also attainable and who knows maybe a BBRC species (it doesn’t hurt to dream). But, most of all, I’m hoping that the challenge keeps me motivated and interested. Seeing the fluctuations in the numbers and assemblage of ducks this winter has already been fascinating with singles of Pintail, Pochard and Common Scoter each dropping in for a day to join the regular flock of 50-125 Tufted Ducks. This is something I would not have recorded without almost daily visits. The gull roost, which is large in a local context, has fluctuated in numbers hugely in the space of a week, for reasons unknown (at the moment). Although that white-winger is still eluding me, the variation in numbers is giving me hope, and motivation to keep trying. Seeing the big picture this year, instead of snapshots in the spring and autumn, appears to be working for me at the moment. I may not get to a hundred visits, no doubt day-to-day family life, and work will get in the way. But, I’m going to try, and in trying I’m enjoying seeing the changes that I would have missed last year…if I don’t get a few patch-ticks for all the effort though it will be back to the drawing board in 2018!